The Kenilworth Centre has recently received two new grants from charities to help bolster its struggling finances and expand its services. The centre in Abbey End has also announced it is in advanced talks with three other charities for further grants. The grant from the Kenilworth United Charities was important to us because it was a vote of confidence in what we’re doing. The first grant, from charity The Sheldon Trust, is worth £6,000 and will help cover the costs of the centre’s six-month downsize to a lower-cost model. The second, from Kenilworth United Charities, will allow the centre’s one-to-one mentoring service for young people at Kenilworth School to run for two days a week instead of one. The group will pay for the cost of the services at the school on a term-by-term basis, which can vary depending on the hours worked by the centre’s youth workers. Chair of Trustees at the centre John Whitehouse explained how the centre is always on the lookout for grants which can help ease the financial pressure. He said: “For charities like ours applying for grants is a constant process. There’s a huge variety of funding sources out there, and it’s just a case of keeping your eyes and ears open for them. “The grant from the Kenilworth United Charities was important to us because it was a vote of confidence in what we’re doing. It’s a local charity with local people as trustees so it was important to get its backing. The news comes after a difficult start to the year for the centre. Kenilworth Town Council voted to stop giving the centre £30,000 a year at a meeting in December 2015, after having done so for four years in the wake of Warwickshire County Council’s cuts to youth funding. 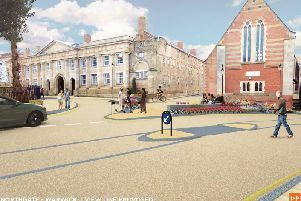 Despite a petition urging the town council to keep the funding in place, nearly all councillors voted to stop the funding. It said it would consider an application from the centre of up to £7,500 purely to fund its youth outreach work. Kenilworth and Southam Liberal Democrats made a petition aiming to get the council to reverse the withdrawal of funding, but the council has so far stood firm on its original decision. Since December, the centre made its former manager Andy Norman redundant as a result of ‘inevitable’ cuts and brought in change manager Richard Dickson to help transition to a lower-cost running model, which is expected to take six months. John Whitehouse is managing the centre during the transition period.